Discussion in 'Gran Turismo Sport' started by SteveDuk, Apr 3, 2019. Any ideas what will be in this? ca18detsilvia and alp like this. Nothing, because it is only maintenance. There is no mention of any new game update. There is no mention of any new game update. But you're right, it will be nothing of any content, only fixes. Quakebass, daan, AgentBlackDog and 1 other person like this. MidFieldMaven, courageC60 and BrunusCL82 like this. Probably will fix the SF lobby issue. And maybe, the h-shifter change will be reverted, since everyone is complaining about it. KONTRAone, chrisspeed281, CrimsonKing and 13 others like this. Imagine if they tell us it's just maintenance but it's actually spa. RedlineRacer and forzaturismo like this. Yes, several new cars and tracks will be available tomorrow. It'll be the biggest and best update ever - all for the low and free price of $1. DC2_Evan, forzaturismo and ca18detsilvia like this. Dave Beerman, KONTRAone and Warte like this. Pool-Sinatragateegos ? It's PD's new original circuit! KONTRAone, Scuderia Paul, UnkaD and 3 others like this. They talked about the Super Formula issue in online lobbies and how it would be fixed in a later update. This is that later update. Romafo72, Warte, AgentBlackDog and 3 others like this. I’m expecting Spa, Sonoma and Laguna Seca, the 6 leaked cars plus 6 others including the LFA. And if you think about it “LFA” confirms Spa! Like For SpA!!! RedlineRacer and BrunusCL82 like this. Oh please, pretty-please fix the shifter. Please be the fix to prohibit tuning for the SF cars in lobbies! Also hoping for a fix for the menu music shuffle feature. That's my credit card number Polyphony Digital, please use it and pay for the Spa license so the constant mentioning can stop. silverman_GT, golfer07840, Beezer215 and 2 others like this. Perhaps a pre-patch to another major content update in the future? Its supposed to be now, actually almost an hour in but I havent lost connect but I'm not willing to actually play. Update file is up. 227.5 MB. Basic bug update, certainly. AgentBlackDog and dimassa19 like this. ETA Ooops thats a system software update. TL,DR: Shifter for H-patterns is back to how it was. VBR, jjaisli and dimassa19 like this. 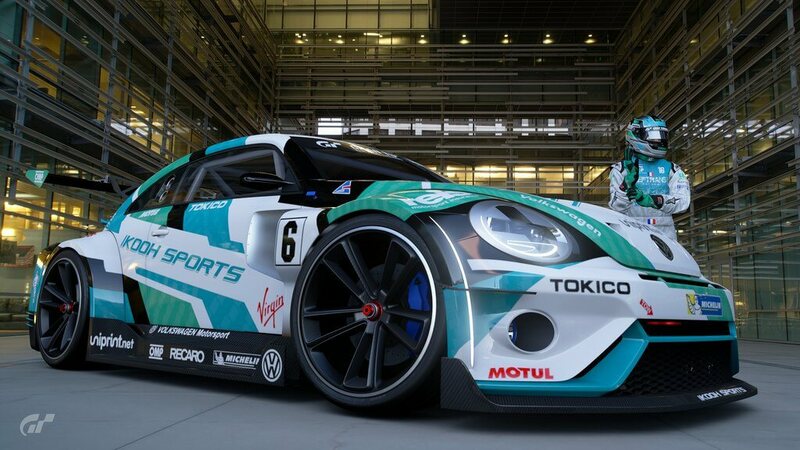 This article was published by Kyle Patrick (@SlipZtrEm) on April 4th, 2019 in the Gran Turismo Sport category. AgentBlackDog, sirjim73, sma and 1 other person like this. sma, VBR and ca18detsilvia like this. Did they fixed the "SF Lobby Bug"? They fixed the H pattern shifter problems today is a good day!!! AgentBlackDog, sma, ca18detsilvia and 2 others like this.